The Old Nene welcomes Juniors of all ages. 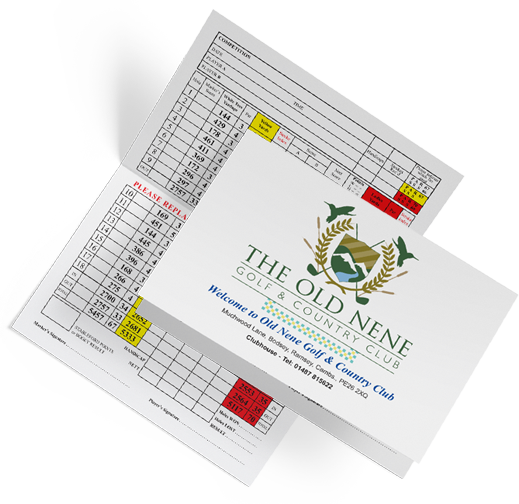 For more information on coaching, facilities, junior green fees and membership please contact us on enquiries@theoldnene.co.uk. Alternatively, call us direct on 01487 815 622. Golf is a great option, particularly because you don’t need a high level of base fitness to start. The average 18-hole round requires you walk between four and five miles on foot, burning approximately 1,500 calories in the process. You can also play 9 holes if you want. What’s more, the golf swing is one of the few athletic movements that engages every major muscle group in the body, which brings obvious benefits too. Being a self-officiating game, golf demands honesty and integrity from those who play it. Additionally, it helps develop problem-solving skills and teaches the importance of good sportsmanship. These are important lessons that will stand your kids in good stead as they go through life. If you’re looking for a sport that you can play with your own parents as well as your kids, then golf is the answer. Young and old alike can compete on equal terms with one another – you can’t say that for many other sports. Several hours on the course in the company of other people – often people you’ve never met before – forces you to be sociable and learn basic conversational skills (not posting and texting from their mobile devices). So, any time spent playing golf will help your little ones to develop more than a sound swing. There’s a perception that, relative to other sports, the start-up costs in golf are quite high. Okay, so there’s an element of truth in that as you will need clubs at some point ready to play on the course– but, if you are prepared to shop around, there are plenty of good deals out there. Ask our pros and they can point you in the right direction. Gone are the days of cut-down adult length clubs. These days, there’s lots of junior-specific equipment out there. Golfers come in all different shapes and sizes; you don’t necessarily need to be tall, slim, strong, lean or muscular to take part. So, whether your child has gone through an early growth spurt or is a late developer, they can play golf on largely equal terms with their friends. 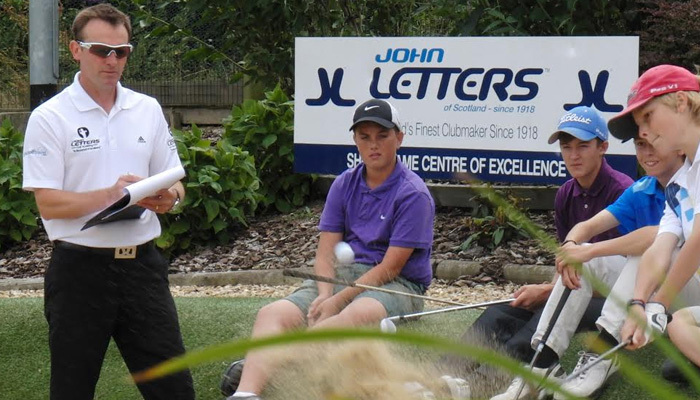 Our golf club has a junior sections run by a team of dedicated PGA Professionals and trained volunteers, so you can rest assured your children will be well looked after and, importantly, given the proper coaching. Everyone involved at our Club have undertaken appropriate child protection training and possess all certificates legally required when coaching children. 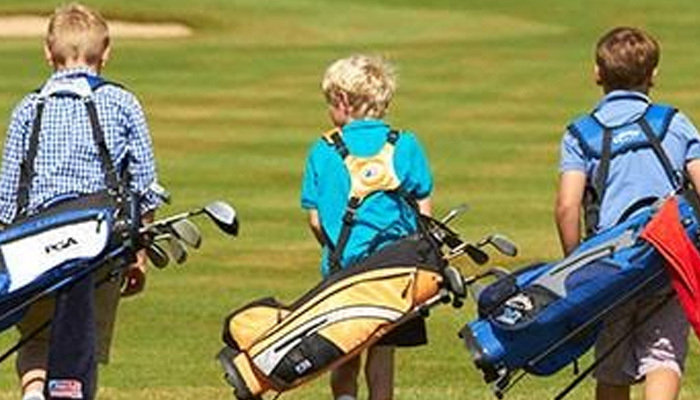 We believe in providing a safe and friendly environment for your children to enjoy and learn to play golf. 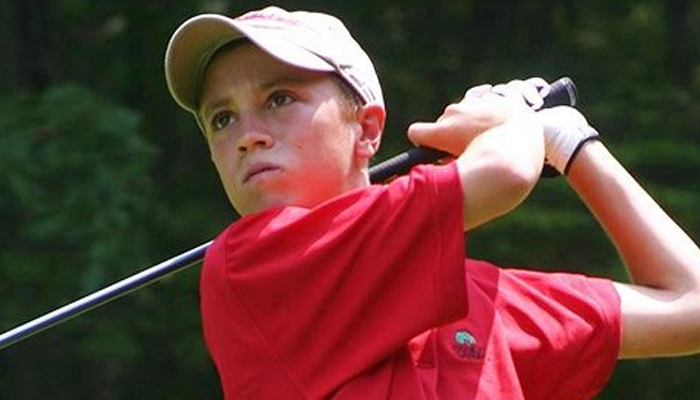 This is the single most important reason to get your kids playing golf. Yes, it can be frustrating when you don’t hit the shot you’d planned to, or when you don’t quite hole a putt – but that’s all part of what makes it such a fun and addictive game. When all is said and done, there are few things that compares to the feeling of flushing a shot. Give your kids that feeling and they’ll be hooked for life. We can pretty much guarantee it.